It was the partnership that could have been, but never was. On March 10th, the transportation-booking app Uber announced a partnership with UN Women “toward a shared vision of equality and women’s empowerment,” according to a virtual letter signed by Uber CEO Travis Kalanick and UN Women’s executive director Phumzile Mlambo-Ngcuka. 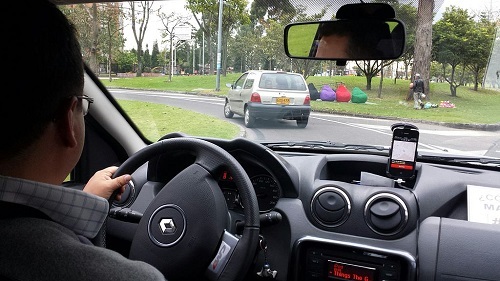 The initiative proposed creating one million jobs for women worldwide as Uber drivers by 2020. Currently, only 14 percent of Uber’s drivers in the United States are female. Yet as quickly and abruptly as the collaboration was proposed, three days later, on March 13th, UN Women backtracked and declined to move forward with the collaboration. As a separate, but affiliated organization of the larger United Nations, the UN Women organization focuses on promoting gender equality. Their widely publicized recent #HeForShe campaign spearheaded by Harry Potter star Emma Watson targeted men specifically to stand up to gender discrimination. While it’s still unclear what role UN Women would have played had a collaboration moved forward, it does make sense that Uber would reach out to the organization for such a partnership encouraging female employment, at least on the surface. But UN Women, along with several concerned unions, do not feel the same. “UN Women will not accept an offer to collaborate on job creation with Uber, so you can rest assured about that,” said Mlambo-Ngcuka last week at the 59th session of the Commission on the Status of Women. It’s unclear why UN Women indicated it would not “accept” the offer when the letter on Uber’s website appears to be signed by both UN Women and Uber, indicating the organizations had initially agreed upon the collaboration jointly, whatever the exact details of the partnership would have been. UN Women’s “rejection” of the collaboration came subsequent to the formation of a coalition in backlash to Uber’s announcement. The International Transport Workers’ Federation (ITF) expressed their concerns about the partnership, pointing to Uber’s dubious employment practices and previous alleged assaults on both Uber passengers and riders. The group also started a trending hashtag, #UNWomenDumpUber, which generated support to nix the partnership. The letter references some of Uber’s own research, indicating that, according to the letter, a drivers’ annual salary is only $15,000. Of course, other sources have found that salaries for drivers can range widely, with some making less than minimum wage while others are making more than $90,000. The letter also says Uber has attempted to deny some drivers basic benefits and healthcare. Indeed, in a recent court case, Uber attempted to justify the action by saying the drivers are separate contractors and not employees of the company. Thus, they would not be entitled to the benefits. The dozens of allegations of assaults, sexual and otherwise, involving rideshare drivers also pose another potential risk for female drivers escorting passengers without any guaranteed protection. The letter cites the U.S. Department of Occupational Safety and Health Administration, which reports that drivers in the taxi industry are 20 times more likely to be killed than other jobs.